to Protect you and your children! Carving pumpkins and decorating the house are fun family traditions for Halloween. Unfortunately every Halloween hand surgeons like me see children and adults who were injured due to an accident while carving a pumpkin. Some of these injuries are minor, but many involve nerves and tendons in the fingers that require complex surgery for reconstruction and months of therapy for recovery. Unfortunately, many of these patients never have 100% return of finger or hand function due to the severity of their injuries. It may seem like hand surgeons are harsh with these parents on this topic, BUT if I didn't see kids like these in my office with tendon and nerve injuries due to their parents letting them play with knives then I wouldn't be so concerned about children carving pumpkins and I wouldn't have taken the time to write this. WHY ARE PUMPKIN CARVING INJURIES SO BAD? 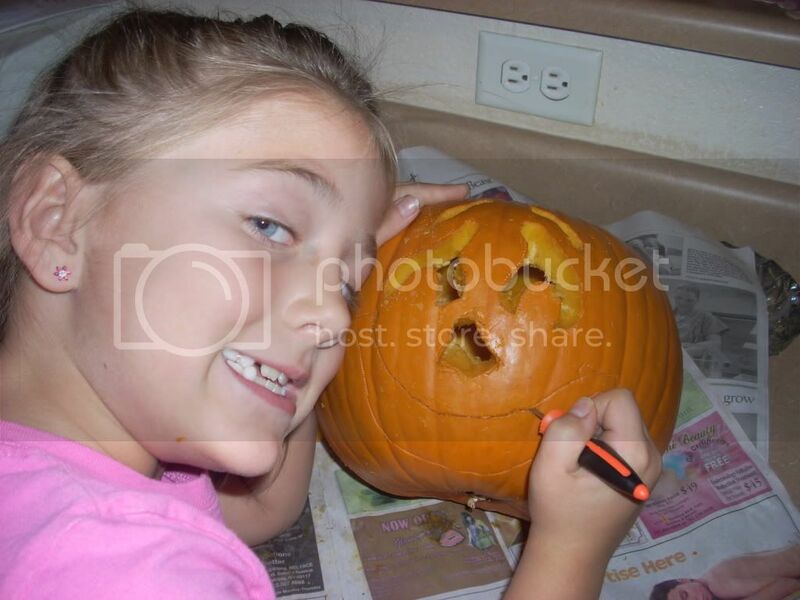 The reason we see so many severe injuries from pumpkin carving is due to the nature of the tools used. Almost all of our severe injuries are due to kitchen knives. (The rest are due to power tools.) Whether they are serrated or smooth the knives are usually very sharp and go through fingers and hands without any difficulty. Because they are sharp they get stuck in the pumpkin and when we are pushing hard or pulling hard to get them dislodged an injury may occur as the knife comes out. Even if we are trying to be careful and avoid getting the knife stuck in the pumpkin, or we are using a carving kit instead with a small saw, we still may cause an injury due to poor technique. The most common thing we hear from patients is that they were holding the pumpkin with one hand and CUTTING TOWARDS THE HAND HOLDING THE PUMPKIN. If you hit a soft spot that knife will slide right through the pumpkin and into your hand. (Often between your index finger and thumb, int the web space.) We also see patients who were holding the back of the pumpkin as they were pushing a large knife into the face. The knife slips through after exerting a little force and it pierces the back of the pumpkin into the hand holding from behind. OUCH! Although the small saw knives in Pumpkin Carving Kits can cause injury, they are safer! They cause fewer and less severe injuries in comparison to kitchen knives which almost always cause cut nerves and tendons. Prepare your Pumpkin - Moisture causes your hand or knife to slip. Dry hands, pumpkins, and tools are a must. Have the Right Tools for the Job - Pumpkin carving kits have been created to make carving easier. The small saws and sharp plastic tools are easier to control and are less likely to get stuck in the pumpkin. “According to a study in the Journal of Preventative Medicine, these tools cause fewer and less severe injuries than serrated or plain kitchen knives.” If using a kitchen knife, sharper is not better. They often get lodged in the thick pulp and require greater force to remove. If your fingers are in the wrong place when the knife dislodges an injury can occur. Hold the Pumpkin with Caution – Injuries usually occur when cutting towards your hand or when the knife slips out the other side of the pumpkin where it is being held. Making small controlled cuts and using tools that cannot reach the other side helps reduce these risks. You can also use a carving board to steady the pumpkin as well. Carving is for Adults – Little hands and sharp utensils do not mix. Have them draw the pattern and remove pulp instead. Adolescents Still Require Supervision – Carving parties are fun but filled with distractions. If adolescents are getting together to carve pumpkins, an adult should be present to ensure the safe use of sharp carving tools. Know First Aid for a Carving Injury – If an injury does occur, bleeding usually stops with direct pressure to the area. Clean the wound and apply a topical antibiotic and a bandage. If your finger loses feeling or can’t move, the wound is deep or the entire width of your finger, or it is still bleeding after 15 minutes of pressure, go to the emergency room. While many of us probably grew up using regular kitchen knives to carve pumpkins, we now have many safer and more useful tools available for carving. Some kits, such as the ones listed below, are great for older children and adolescents because the tools do not cause as many or as severe injuries as typical kitchen knives. These type of kits are recommended by most physician organizations such as the American Society for Surgery of the Hand, American Academy of Family Physicians, and the American Academy of Pediatrics. Unfortunatley, the newer more advanced tools for carving, such as the Dremel Cordless Rotary Tool and other power equipment can cause serious injuries if not used with extreme caution. Unless you are a professional, I would not recommend using these for pumpkin carving. Offer many carving kits from basic to advanced. A great source for online pumpkin patterns and carving kits. Pumpkin Carving Techniques and Tools This site shows many carving tools and techniques from basic to highly advanced. Use of power tools to carve pumpkins should only be attempted by professionals. The US Consumer Product Safety Commission works to protect you. They periodically issue recalls on unsafe products and study data on consumer injuries related to product use as directed. The links below will take you to the CPSC website on some recent data. Thanks to the internet anyone who wants to publish a video can do so at the click of a button. As you already know, some of these "how-to" videos are good, but many are less than instructional. I have compiled a few of the videos I have found that provide good information on safe pumpkin carving techniques. If you find a video that you believe is a good resource and should be listed here, please let me know. Typical Examples of common injuries from pumpkin carving with a kitchen knife. Unfortunately all these required surgery.